Tutete provides this website as a service for its clients. Please check the terms and conditions of sale governing our website. By using tutete.com, clients agree to the following general conditions and terms of sale. If you do not agree with these terms, please refrain from using this website. Tutete may modify or update all or part of these terms of sale and general conditions, taking into account possible changes in legislation and regulations currently in force. The new terms of sale will be effective starting from the date they are published on tutete.com. We recommend that you check these terms and conditions frequently. If you do not agree with any changes made, please refrain from using this website. Tutete always tries to ensure that contents on its website are up to date and do not include incorrect information. In the event that an error beyond our control is produced, we will immediately proceed to solve it. Tutete.com will not be held accountable for any use of the site or its contents by users who do not comply with all laws and regulations currently in force. The user is solely and exclusively liable for communicating incorrect and false information and data, or information concerning third parties (in case the latter have not expressed their consent), as well as for misusing them. When personalising a product, it is the client's responsibility to ensure that the name or text is spelt correctly, including the relevant orthographic signs. Tutete.com reserves the right to reject orders which contain language that is inappropriate for our target market. Tutete.com has made every effort to show the colours of the products as accurately as possible on our website. In any case, colours may vary slightly owing to the type of screen you are using. Therefore, Tutete cannot guarantee the accuracy of the colour shown by your specific type of screen. The user acknowledges and agrees to the fact that all copyright, designs, photos including image rights, graphics, sounds, music, video, audio, text, trademarks, and all other content and material and intellectual rights referring to the content described herein are protected by copyright and other intellectual property rights of Tutete and other right holders. Any comments, ideas, opinions, criticisms, etc. published on tutete.com will remain as property of the company. Tutete's use of this type of feedback will not be limited in any way to commercial purposes or of any other nature. The user agrees not to make comments that might violate third-party rights. The user also agrees not to make comments that may contain obscene, illegal or abusive connotations. The user will be solely responsible for the content of the comments s/he makes. 5. Links with other websites. If Tutete deems is appropriate, the consent request will be activated. The Tutete server and its contents are free from viruses. Users are aware that they are responsible for how they use the website. The user also assumes full responsibility for all costs incurred due to services and repairs of equipment used to view and make use of the website. Purchases and sales made at Tutete are subject to Spanish law. The parties freely submit for the resolution of conflicts, and renouncing any other jurisdiction, to the courts and tribunals where the user is domiciled. 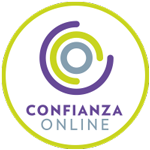 Moreover, as an entity adhering to the CONFIANZA ONLINE trust mark and in the terms of its Code of Ethics, in case of disputes related to online contracting and advertising, data protection and protection of minors, the user may resort to the system of extrajudicial dispute resolution of CONFIANZA ONLINE (www.confianzaonline.es). Tutete.com uses the Google Analytics remarketing functionality to publish ads online. Other suppliers, including Google, show their ads on other websites. Tutete.com and other suppliers, including Google, use first-party cookies (such as the Google Analytics cookie) combined with third-party cookies (such as the DoubleClick cookie) to inform, optimise and publish ads based on previous visits to the website.